Try to choose one of them, then another. Vuo can choose only one of the devices. If you want to choose another with the sam name, Vuo keeps the previous one chosen. 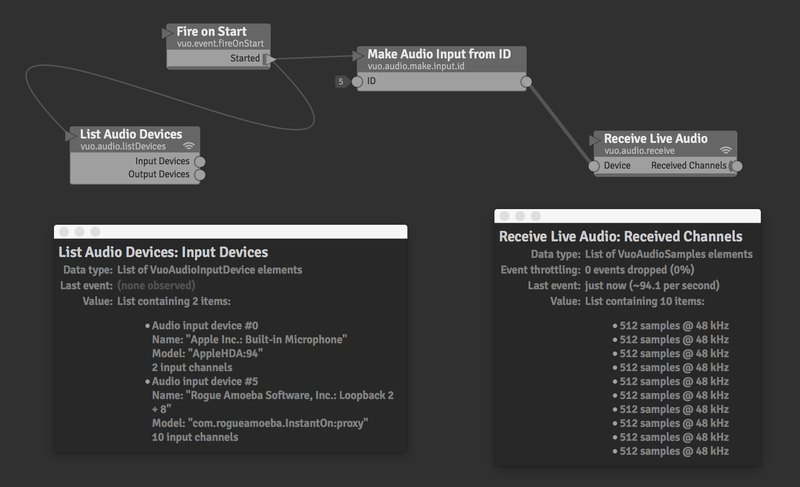 Use List Audio Devices and Make Audio Input from ID. Thanks for pointing out the workaround, Kewl. To avoid the situation where you pick one device from the menu but Vuo uses a different device, we could modify that menu to disambiguate devices with the same name.